The Mercedes-Benz is one of the most popular cars in the automotive industry, but did you know these features existed? 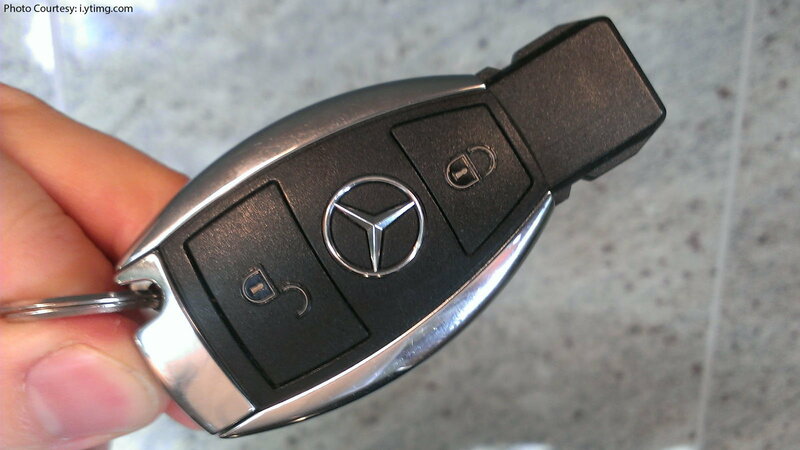 With the current Mercedes technology, we never actually think about keyholes. In the end, how would we stick the oddly-shaped key into any key-hole? Well, since you can remove the metal part of the key (which is there so you can lock your glove box when you valet your car) you can use it to open the trunk with the hidden key hole. Look for it on an angle above the license plate on the trunk lid. If you didn't know this one, then it may save you some time in the future if your battery dies. >>Join the conversation about Mercedes Easter Eggs and Hidden Features right here in the Mercedes-Benz World Forum! On a hot summer day, the last thing you want is to get into your Mercedes and get baked. One of the hidden features that your Mercedes salesman never bothered to tell you is that you can open your windows and sunroof with your remote. Stand five-feet away from the driver's door, press the unlock button on your remote once, then press it again and keep it pressed. This should open your windows and sunroof and air out your Benz before you get in. 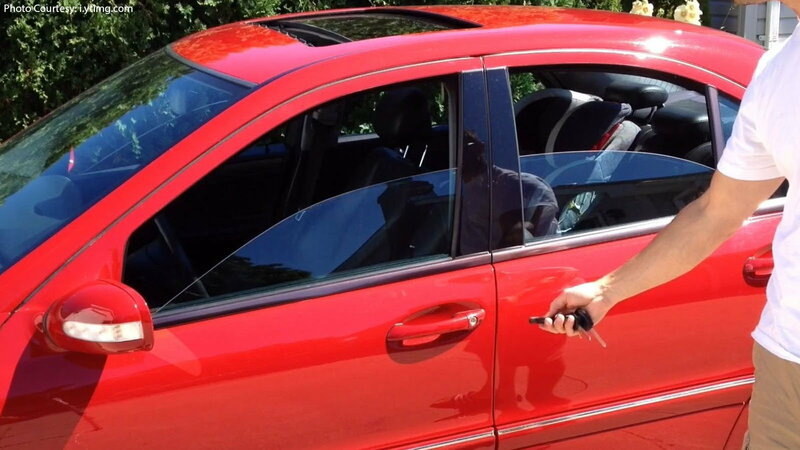 To close the windows and sunroof, do the same thing, but use the lock button instead. It may take you a few tries before successfully doing it. 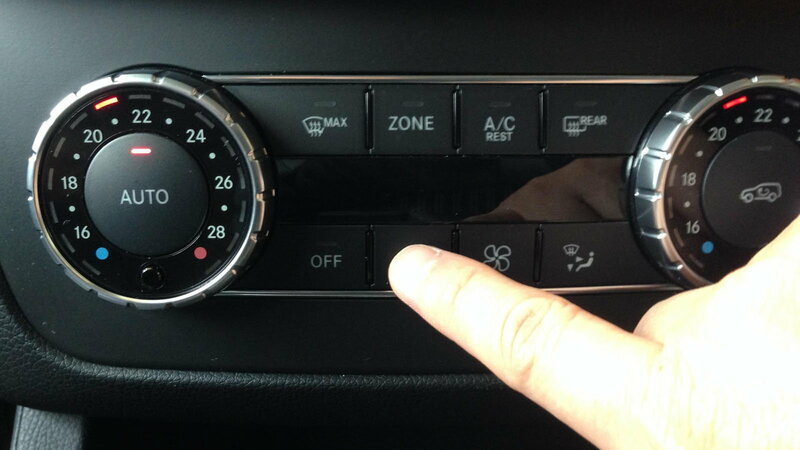 By pressing the air circulation button and keeping it pressed, all of your windows should close, which is called "Tunnel Mode." If you're past the tunnel and you want to reopen all of your windows, press the air circulation button again and keep it pressed, and your windows should open back up to their original position. 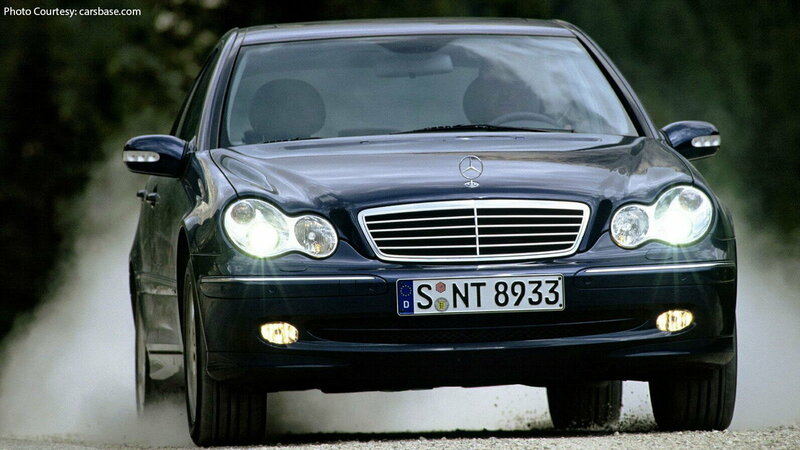 If you're looking to get more throttle response out of your Mercedes, try resetting the throttle. Step on the gas pedal all the way down, then put your key in the ignition, turn it all the way to on, but don't start the car. Wait for 60-seconds, then turn the key off, and remove it from the ignition. This should reset your throttle. If you don't feel any difference in throttle response, you may want to try it again. 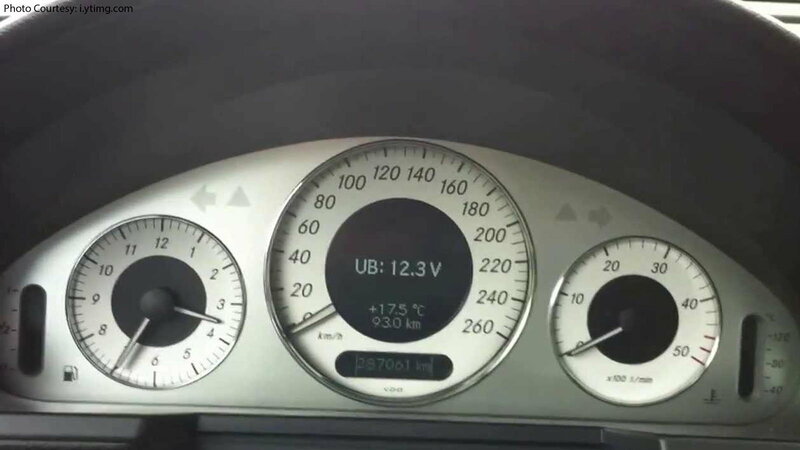 Whenever you're in doubt of your battery's condition, use this trick to display the voltage on your instrument cluster. Put your key in the ignition and turn it to the ON position, but don't start the car. With the screen in front of you set on the miles, press the reset button three times in a row, and the battery voltage should display. 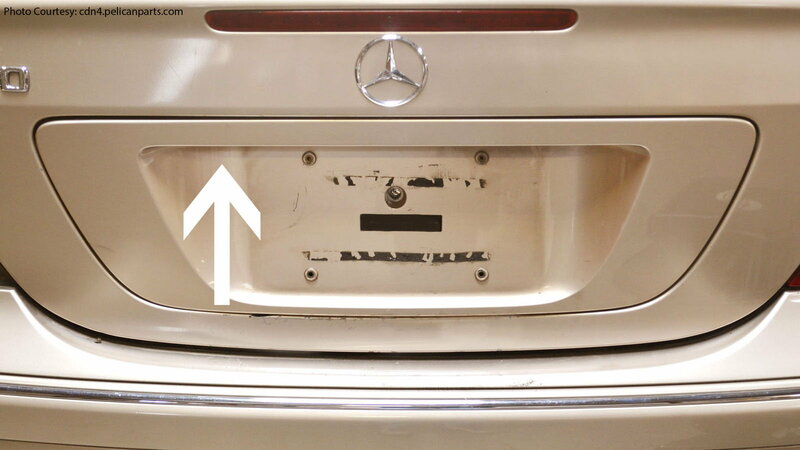 This trick works on the W203 Benz and may work on others. If you don't want to get your hands dirty, you can actually check the oil from the comfort of your W211 driver's seat. With your engine warm, but not hot, and your Benz on a flat surface, put your key in the ignition and turn it to the ON position. Press the reset button and keep it pressed, don't let go until the car beeps once, it may take up to 30 seconds. Once the display changes, start the car and wait a few seconds for the oil reading. 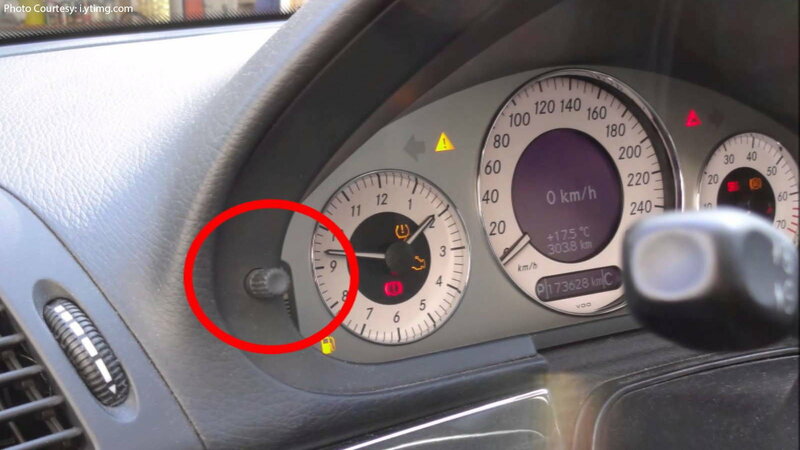 Press the lock and unlock buttons on your W203's key fob at the same time for three to five seconds, and wait for the led to flash on it. If you do it once, it will be set to unlock the driver's door when you press the unlock button, and if you do it again, it will change to unlock all doors the first time you press the button. If it's set to only unlock the driver's door, then it will unlock the rest of the doors the second time you press the unlock button.